Throughout the year there are many days that are celebrated for a specific family member and there are days that can be celebrated together as a whole. These dates and events bring our family closer and can be a special time for all of us to share. This section was added as this is a family oriented site. And so I wanted to explore the many days throughout the year that are celebrated for each and every member of the family. Dates and Events to Celebrate and Honor! Discover dates throughout the year that are special to genealogy and family history, as well as events that are connected to family in some way. And learn interesting facts along the way. What Are The Origins of These Special Days? 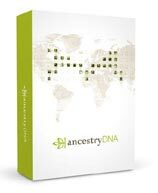 Genealogy is not just about collecting names and dates, and putting together our ancestor’s stories. Although it is safe to say it is an important part of it. 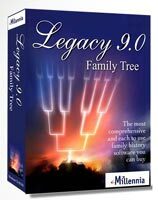 There is just so much more to genealogy that you have yet to discover. While tracing my family history I wondered about the many dates and events that were celebrated by my ancestors. I also became interested to find out how many days that were dedicated for each member of the family. I was curious as to the origins of these special days. What were the reasons behind them? How old are these traditions that we still keep and have they remained the same all this time? Some date thousands of years! Well, some of these days that we still celebrate today originated more than 2,000 years ago. Within this section I also delve into the days that are dedicated to the saints. You maybe surprised that all of our ancestors worked within a trade that had a patron saint. And so they may have celebrated such a saint in their own way. Patron saint of countries will be discussed at as well. You can’t imagine how lost I feel. I never knew any of these…special family days – brothers and birth mother days too? This is simply incredible. Imagine what you don’t know that is out there in the world and when you do find out, it’s like you have been missing in action. The more we know, the more we just want to know….that’s life. Thanks Owain for this post, it is an eye opener. I was quite astounding to find all these different family days when I first started to write up about them all. From this then I wanted to explore other holidays and events that are shared by families. I also wanted to look at their origins. Hence that is why I have added Halloween and Native American Day, (more will follow). For any genealogist family is everything. We want to know all that we can about our families and holidays such as these makes us cherish and remember them even more. So I felt it was important to add this section to the site.